1. Our fleet of 4 MD11 showed IRU P/N: HG1150BD02 poor reliability. We had experienced 12 IRUs unscheduled removals from May 05 till Dec 06. 2. This study reviews shop data and gather information from OEM/Boeing to see how IRU reliability may be improved. a) 22-Oct-05, aux IRU S/N: 415 was rplcd due to IRU failed during flt. b) 12-Dec-05, aux IRU S/N: 465 was rplcd due to IRU didn’t align. c) 24-Dec-05, #1 IRU S/N: 426 was rplcd due to IRU failed after t/off. d) 12-Feb-06, #1 IRU S/N: 513 was rplcd due to IRU #1 ind 10kts higher than #2 and #3 IRU. e) 11-Jun-06, aux IRU S/N: 492 was rplcd due to IRU failed during cruise. f) 13-Jun-06, aux IRU S/N: 94090712 was rplcd due to intmt and IRU drift after landing. g) 08-Oct-06, aux IRU S/N: 94030672 was rplcd due to IRU failed. h) 16-Oct-06, aux IRU S/N: 251 was rplcd due to IRU failed. i) 23-Nov-06, #1 IRU S/N: 321 was rplcd due to intmt ops. j) 23-Nov-06, aux IRU S/N: 513 was rplcd due to intmt ops. 2. IRUs may fail for a variety of reasons; bad laser gyros, accelerometers, electronics, etc. When compared with VG/DG systems, the IRUs are extremely reliable. 3. Our repair history showed the primary failures were laser gyros, and accelerometers. Boeing has seen instances where these components reach their useful life limits, and must be replaced. Unfortunately, this may occur in a group since the IRUs were built at the same time. So an operator may have a larger amount of certain component failures in one year, and significantly less for a couple of years afterwards. 4. 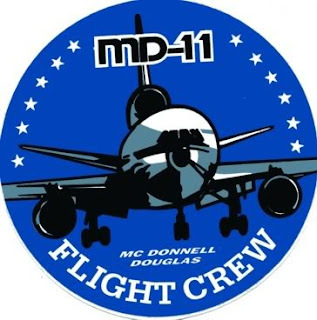 Boeing has not had operator reports of significant reliability issues with the MD-11 IRUs; however, Boeing will continue to monitor in-service reliability for this unit. 1. Typical mean life of the ring laser gyros (RLG) is 75,000 operating hours (OP). 2. When the RLG is approaching the end of life the failure rate will be higher. Accelerometers and RLG will fail towards the end of life of the sub assemblies. 3. Currently Honeywell has no new P/Ns of sub-assemblies to improve IRU performance. 4. OP hour:FH is about 1.5:1 and gyro life is based on OP hours (how long light bulb burns). 5. 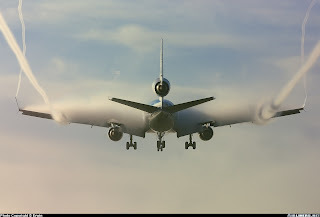 Advised the operator to undertake a gyro refresh program which should improve IRU reliability since the four MD11 are high hours TSN. 6. This advised should apply to the accelerometers if found faulty or the performance is suspect during the workshop visit. A replacement program would assist to improve the reliability. 1. Another operator (Martinair) haves similar IRU failure. About 60% to 70% of removals are caused by the gyros. They had a peak in gyro removals (9 gyro removals between August 2005 and December 2005). Since January 2006 they had only two gyro removals. 2. Actual MTBUR for IRU is 10900 hrs. 3. IRU’s main problem is Gyros. With increasing age the Laser Intensity decreases. If the value drops below a certain level a failure warning appears. If all units are in the same age there may be a peak in the removals of gyros. 4. Gyros have a tendency for low reliability after about 10 year of average operation. As it is linked to OP hours and not equipment can be different for different airlines. 1. Majority of IRU defects are contributed by RLG and accelerometers. Total 8 RLG were repld on 4 IRUs and 3 accelerometers were repld on 3 IRUs (1 each). 2. IRU Design MTBUR is 10900hrs but our current MTBUR 4304 hrs is much lower. 3. Currently there is no improved P/Ns and SB for IRU. 4. As per Honeywell TN M23-3341-033 gyro should be replaced if the LIM voltage drops below 2.2V; or unit has set LIM fault. This is being followed by SRT. 5. Operator does not have the replacement record of RLGs within the IRUs. 6. Although Honeywell has given the expected RLG useful life, it is not practical to implement it as hard life limit due to mixed ages of the RLGs and the IRUs are in the SRT pool. 7. Ignoring the OP hour:FH ratio and using only the TSN data divided by average utilization of 10 FH/day, the age of the RLGs and accelerometers are estimated and shown in Table. Assumption: the IRUs TSN data are reasonable. Estimated RLG useful life ranges between 9.4 – 14.1 years old. Estimated accelerometer useful life ranges between 9.9 – 17 years. 1. Recommend operator to replace ALL the gyros (x-, y- & z-gyro) within one IRU unit IF one of the gyros were found defective and required replacement IF the age of gryos are similar (±ONE year old vs the defective gryo) although it may pass the LIM Voltage test. 2. Recommend operator to carry out more extensive test on the other accelerometers should one of the 3 accelerometers in an IRU require replacement. 3. S/N 513 should undergo additional testing to ensure unit is in good condition. 4. Should one accelerometer be found faulty, subject the other accelerometers to additional testing and close visual inspn. 5. Maintain more IRU spares due to the current reliability situation. 6. MTBUR of IRU will be monitored and reported if any further deterioration. MD11 fleet IRU reliability is below industry average. Shop report shows ring laser gyros within are reaching their operating life limit. Recommendation is to replace all RLG within one unit if one of the RLG needs replacement per TN M23-3341-033 IF the other RLGs are of similar age. With this implemented the MTBUR of IRU would be monitored for trends.